It is indeed a matter of great pleasure to welcome you to Shaheed Benazir Bhutto University where excellence is nurtured, pursued and celebrated as we work together to create positive change for a better world through education. Knowledge is a key source and is highly sought-after within Pakistan and around the world. Our challenge is to educate and train human resource to work in fields where they will be valued both for their specialized knowledge and ability to research, communicate and solve problems. The University is committed to preparing its students to work, acquire skills and enlarge their capacities that equipped them adequately to live and compete in the rapidly changing global environment. We are committed to the highest standards of teaching and research across the broad range of disciplines, offered at all the levels. We embrace the challenge of generating intellectual property and to educate and train our valued students in special knowledge and research by introducing modern approaches in the field of natural sciences, social sciences, arts and humanities. The basic purpose of the University is to provide the students the opportunities for quality and relevant education at an affordable cost and grooming them in a well-disciplined environment. We cordially invite you to be a part of our community where integrity, devotion, truth and hard work reign supreme. 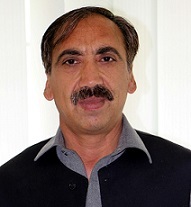 14-04-2019 Dr.Sami Ullah Department of Forestry published an article. Click Here!. 03-04-2019 Dr.Noor Rehman Department of Chemistry published an article. Click Here!. 11-04-2019 First Merit List for Admission to M.Phil Program in Department of Mathematics is displayed. Click Here!. 10-04-2019 2nd Merit List for Admission to M.Phil Program in Department of English is displayed. Click Here!. 01-04-2019 First Merit List for Admission to M.Phil Program in Department of English is displayed. Click Here!. 28-03-2019 Sealed Tenders are invited from the well established/reputed Firms/Companies/Suppliers, registered with Income Tax/Sales Tax Departments for the supply of Lab Equipment, Chemical & Glassware. Click Here!. 19-03-2019 Admissions open for Session 2019-20 in University Pusblic School & College. To download the admission form Click Here!. 14-03-2019 Tender Announced-Animal Feed for Dairy Farm Click Here!. 14-03-2019 Dr.Sami Ullah Department of Forestry published an article. Click Here!. 14-03-2019 Dr.Nasir Mehmood Department of Agriculture published an article. Click Here!. 28-12-2018 M.A and B.Ed Annual Examination 2018 Results Annunced. for Details. Click Here!. 26-12-2018 Application on prescribed form are invited for admission in MS/MPhil programs.for Details. Click Here!. 23-12-2018 Dr. Noor Rahman Department of Chemistry Published a Paper. View details. 05-12-2018 It is notified for the information of all concerned that Govt. of Pakistan BAIT UL MAL offered scholarships for the students of Shaheed Benazir Bhutto University, Sheringal, Dir Upper. All deserving/needy and brilliant students having a CGPA equivalent or above 3.00 in semester system and 70 % equivalent or above in annual system are eligible for BAIT UL MAL scholarships. The students are requested to submit their Applications by December 14, 2018.View details. 29-11-2018 Sealed Tenders are invited from the well established/reputed Firms/Companies/Suppliers/Persons, for the Provision of Canteen Services at Main Campus of the University Sheringal Dir UpperDownload docs. 23-11-2018 It is notified for the information of all oncerned that the Mid Term Exam of the BS program of the constituent Department of the SBBU Main Campus/Sub-Campuses and affiliated Colleges has been scheduled w.e.f December 10th,2018. All HODs are informed to submit a copy of date sheet to the office of the Controller of Exam in the First week of December positively. Higher Education Department Invites Research Proposals for Research Grants in Different Areas. for details Click Here!